The U.S. West is still baking. The temperatures for June are in and five Western states saw their warmest June ever (helping to make the month the second warmest June for the contiguous U.S.), and four continue to see their warmest year-to-date, just as 2015 hits the halfway mark. 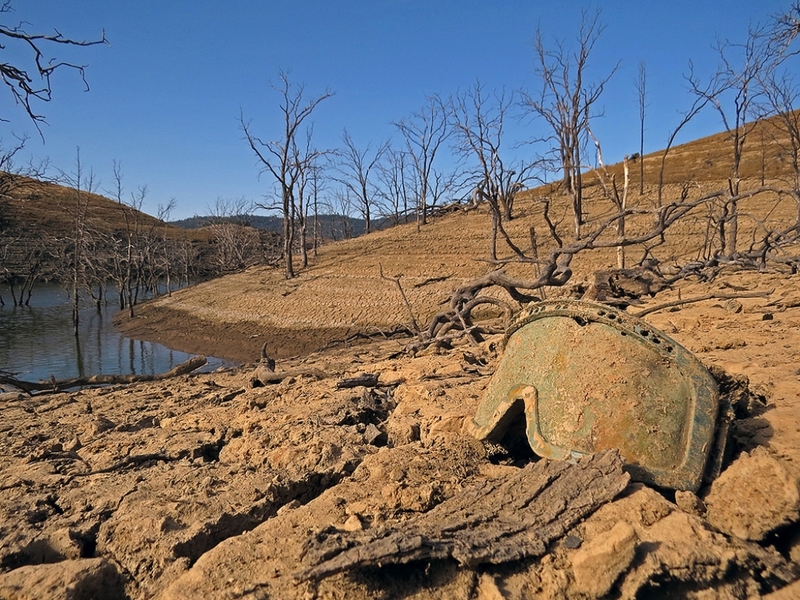 In drought-plagued California, “we’re beating the record set just last year” and “not by a razor thin margin,” Daniel Swain, a PhD student at Stanford University, said. Below the Tuttletown Recreation Area at New Melones Lake in Sonora, Calif. The huge area of considerable warmth in the Pacific Ocean that has been hanging around for two years now is one of the main drivers for the sultry western weather, and is getting a boost from the very healthy El Niño event that looks to be in place through the end of the year. These forces are also acting on the background warming that results from the extra heat trapped in the Earth’s atmosphere by ever-increasing greenhouse gas levels, which increases the odds for such high temperature records. The heat spells bad news for the tenacious drought that is now in its fifth year in California, as well as newly expanded drought conditions in the Pacific Northwest, which saw a paltry winter snowpack during the balmy winter. The latest temperature updates were released Wednesday by the National Oceanic and Atmospheric Administration. In maps that show how much ocean temperatures differ from average, a huge chunk of the Pacific Ocean looks “like it’s on fire,” Swain said, with some areas in record-breaking territory. That mass of hot water has helped keep a ridge of high pressure locked in over the West, bringing with it higher temperatures. The drought, which is in part caused by this pattern, as it blocks the storms that would provide rain, also helps reinforce the heat. Statewide average temperature ranks for June. The most recent heat wave in June broke or tied 233 records across the West, primarily in the Pacific Northwest. While that scorcher elicited much attention, such acute heat waves haven’t been the main reason the West has stayed so warm, rather it has been the persistence of above-average temperatures day-in and day-out. “It just really isn’t getting down to normal,” Swain said. Because the ocean doesn’t change temperature as quickly as land does, the huge area of warm ocean is “not going to go away anytime soon,” Swain said, which means that it will continue to influence temperatures in the West through a good chunk of the rest of the year. For the next few months, that means that the drought in the region is only likely to get worse, as higher temperatures mean increased evaporation and transpiration in plants. That’s particularly worrying going into the traditional peak of the fire season in early fall, when Santa Ana winds can rapidly spread wildfires on tinder-dry landscapes. The hope is that the El Niño will bring relief come winter, as strong events have historically been associated with increased precipitation in parts of California, though it’s by no means a guarantee. But by the time that happens, the year may nearly be at its end, and for California, at least, it could edge out last year as the warmest the state has ever seen in 120 years of record-keeping.